IS THERE AN ALTERNATIVE TO SILENCE? 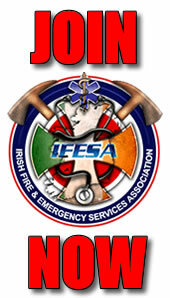 From time to time IFESA receives information from Fire Fighters and members of the public in relation to incidents and running of Brigades.There are many issue that we have not highlighted that would be of concern to us. There is a fear from Fire Fighters that should they try and expose any wrong doing in the Fire Service or information of any sort that they would be unfairly treated by management.Recently we would have seen the The Protected Disclosures Bill 2013,this was intended to address what the minister described as a significant gap in Ireland's legal framework.In our opinion this Bill has yet to offer the protection needed to whistleblowers.